Camelot, Oklahoma, The Music Man, Hello Dolly, Porgy & Bess and Showboat have provided the nine songs in this marvelous album devoted to the mezzo-soprano. 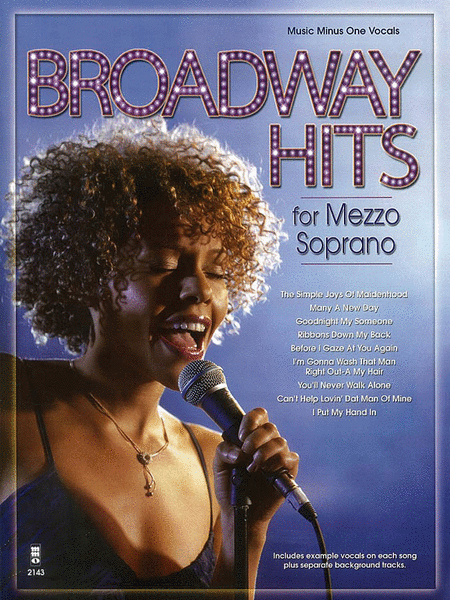 With the provided CD, first you'll hear a professional singer vocalize with these classics of the American Broadway Theater. Then, you'll be asked to step into the starring role for your moment in the sun with separate backing tracks.